Bose Frames is a cross between headphones, audio AR platform, and sunglasses. They combine all these aspects into one product. 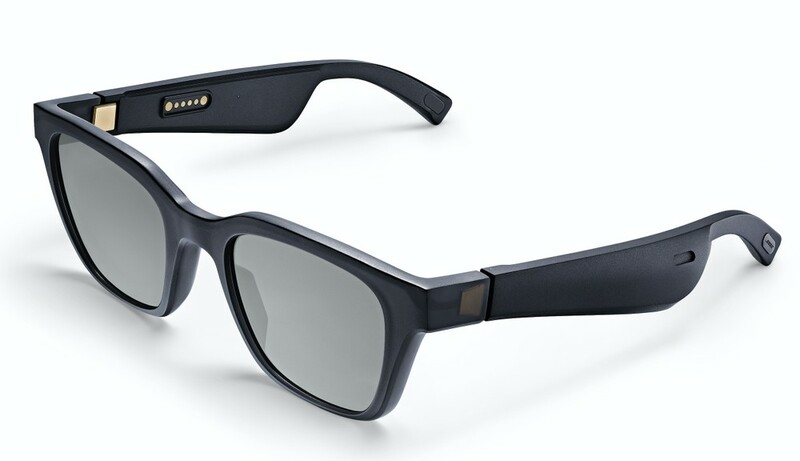 With the wearable device – “most lightweight Bose system ever” – you can listen to music, make phone calls and ask for help from voice assistants, all while protecting your eyes from sunlight with style. 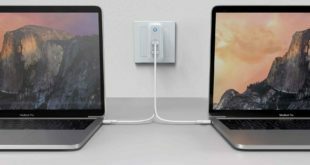 “Practical and revolutionary”, the company defines it that had shown them a preview in March, which once turned into an advanced and connected device. 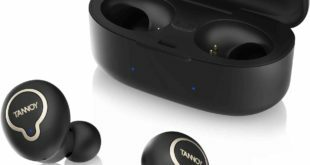 They are in effect wireless headphones, not in-ear, but take advantage of the sound diffusion through an acoustic device integrated into the arms of the glasses, invisible and discreet in the view (of the others) and able to direct the audio stream towards us. For touch and voice control, an ultra-small microphone and multi-function button are embedded on the right temple for power and pairing, Siri and Google Assistant, calls and commands, or to pause and skip songs. The Bose AR app coming in 2019 will allow you to access all the features and settings via your smartphone. 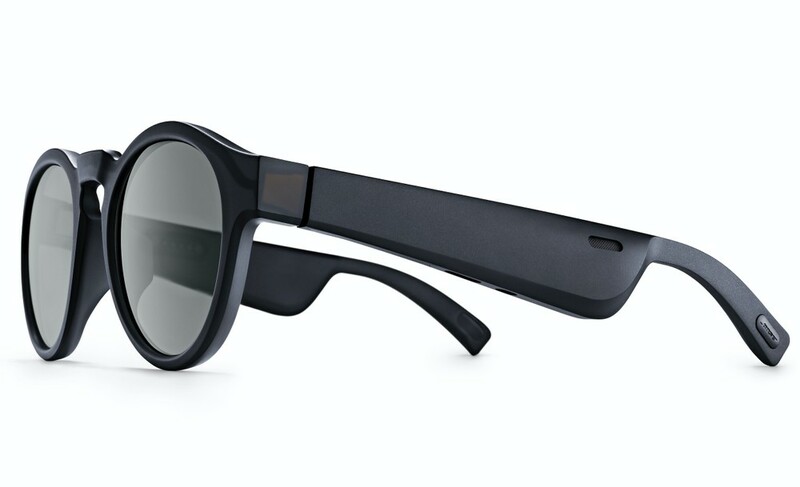 Bose Frames are based on the Bose AR platform, unlike other augmented reality glasses and platforms, Bose AR doesn’t change what you see, or use a lens or phone camera to superimpose objects in your sightline. Instead, it knows where you are and what you’re facing using a 9-axis head motion sensor and the GPS from your iOS or Android device. 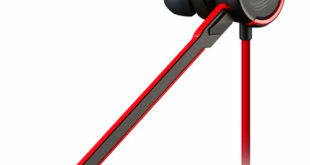 Automatically adds a layer of audio, connecting that place and time to endless possibilities for travel, learning, entertainment, gaming, and more. The 9-axis sensor is able to determine in which direction the user is moving and where he is looking so that he can receive ad hoc audio information. It could be useful for example when you are visiting a new city: just look at a certain monument to “listen” to all the details transmitted in audio mode by our glasses. Bose guarantees up to 3.5 hours of music playback and 12 hours of standby time, while the charging time is less than 2 hours. Bose Frames are available in two versions: Alto (larger) and Rondo (smaller). Both glasses have gold-plated steel hinges, are resistant to scratches and have a weight of 45 grams. 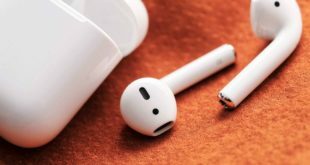 They will arrive initially in the US in January, and then reach other countries in spring 2019, priced at $199.95.